I know I wrote about this in my previous review of the KTM Spa Villa and Resort but I didn’t take many photos of the food we ate then, so here are pics of our dinner this time. But first, there was the usual clamoring of business by the beer ladies the moment we stepped into the food court: Heineken, sir? Carlsberg, sir? Tiger, Sir? Bintang beer, sir? Buy 5 get 1 free… In the end, at the suggestion of Wen, we ordered Bintang beer. It was very light, much like Heineken or even lighter, and wasn’t to the men’s liking but still they managed to ‘bottoms up’ 12 bottles. 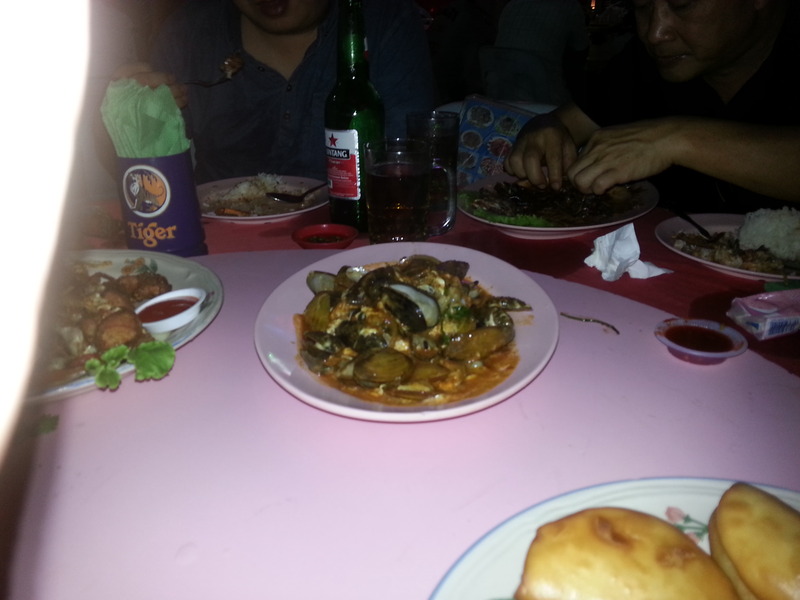 We ordered from the same stall as before, the 999 Seafood stall. The salted egg crab was a disappointment. 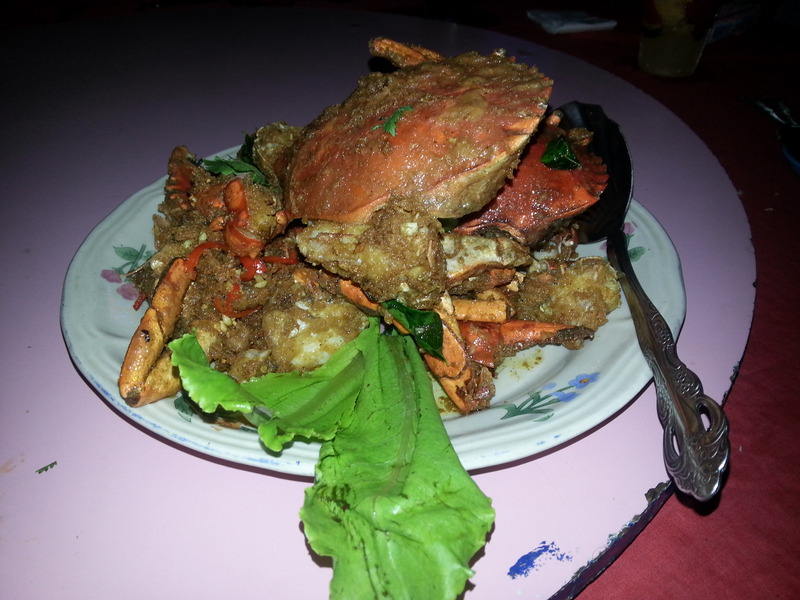 The crabs were deep-fried till they were too dry and you couldn’t get much meat out of them. The butter prawn wasn’t fantastic either. A tad too bland for my liking. 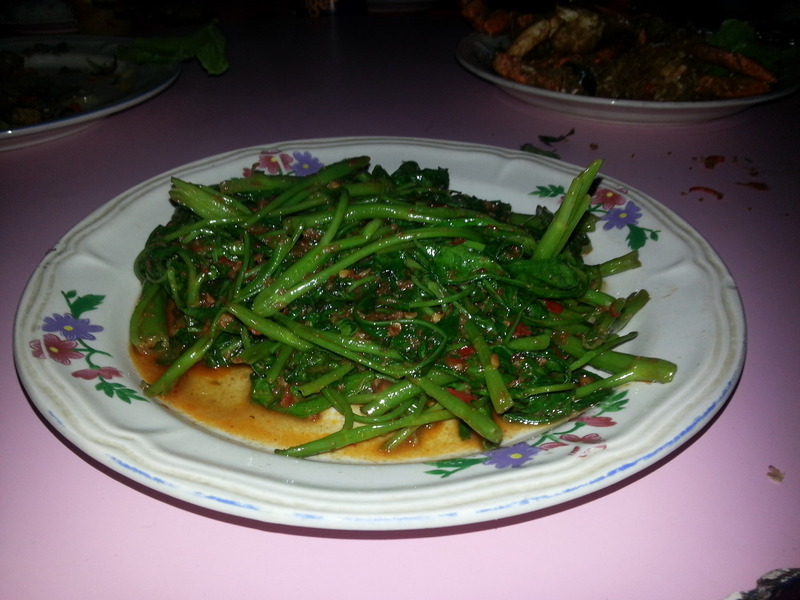 This sambal kangkong wasn’t too bad. Another disappointing crab dish. Maybe if they had used bigger crabs it would’ve been better. 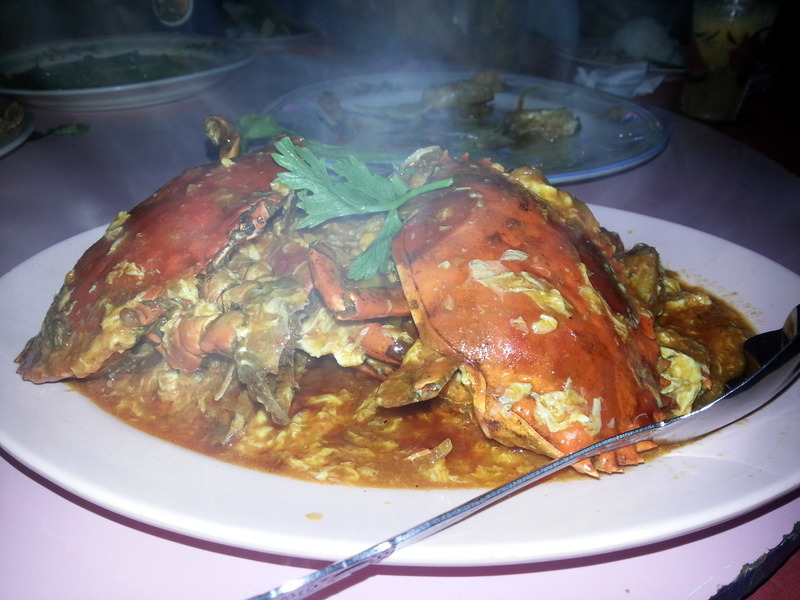 Perhaps they aren’t big on crabs there like we are in Singapore…. 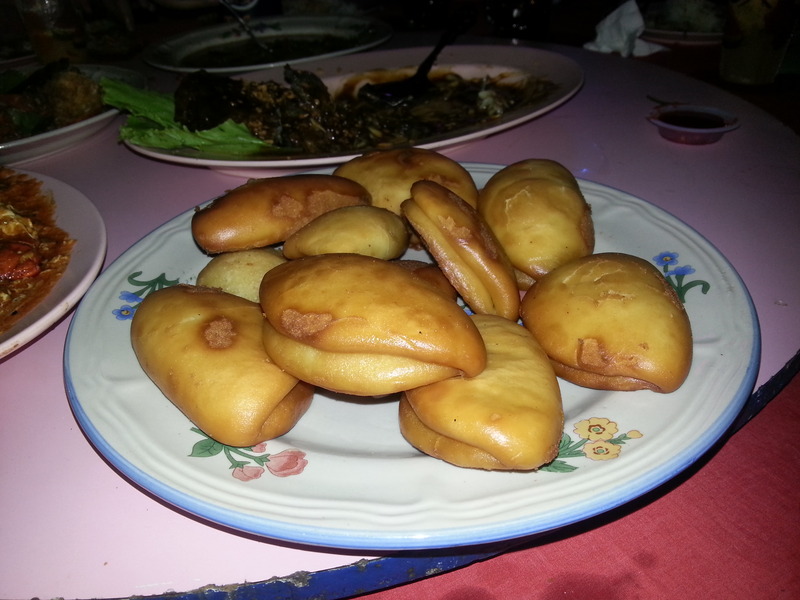 These deep-fried buns were meant for soaking up the gravy of the chili crab. They were so nice and crispy that you could even eat them on their own. 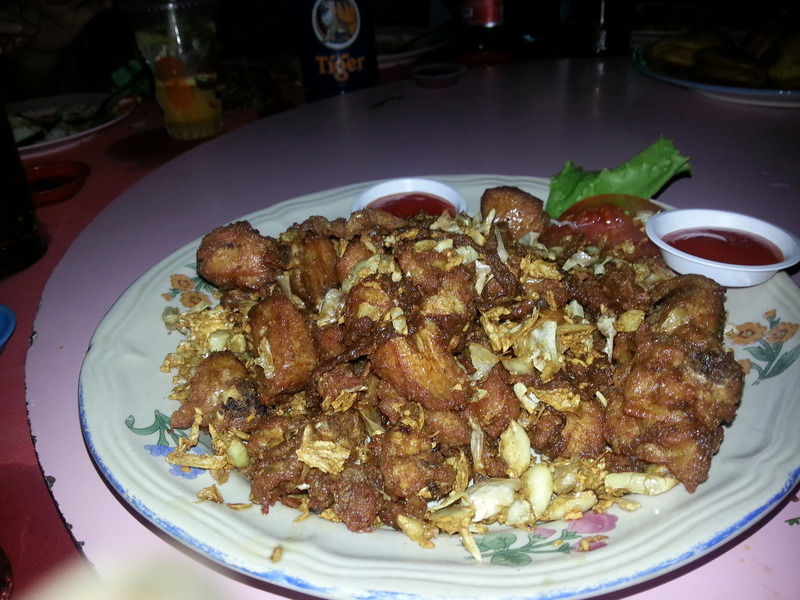 We had this garlic chicken the first time we were there but this time it didn’t taste as good as before. 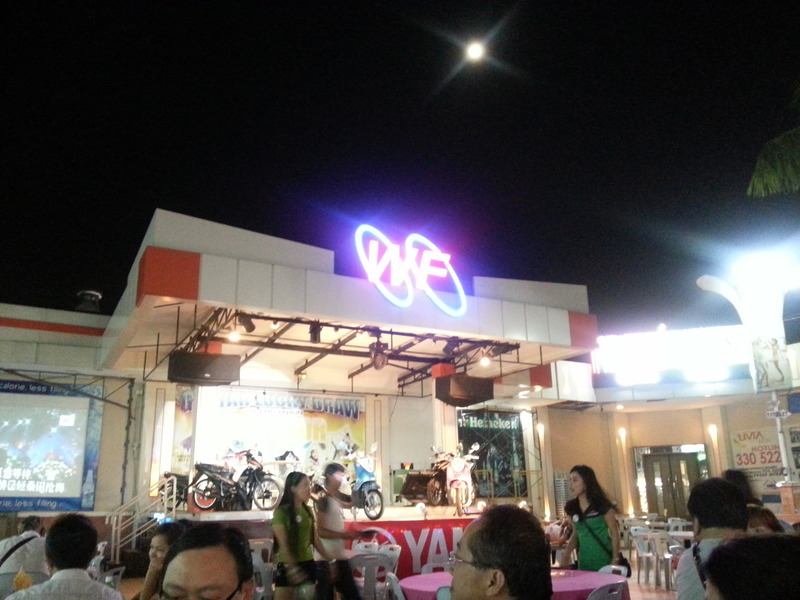 Time to change our makan (eating) place, perhaps? The mussels were alright. They were spicy and fresh. Prior to being served with these dishes, we polished off 2 plates of oyster omelette (Orh Luak), a plate of grilled cuttlefish and 10 sticks of Otak-otak. The oyster omelette was as good as we remembered, and much better than what we can get in Singapore. Hi, do you remember how much the food cost at Windsor foodcourt? I heard there’s no prices stated on the menu. I’m going there next next week, 2 girls only, do you think it’s safe hahaha. Abit scared! Thanks! Hi, Yvonne! Thank you for reading my blog post. Sorry I can’t remember how much the food at Windsor food court cost but I know it’s very cheap. 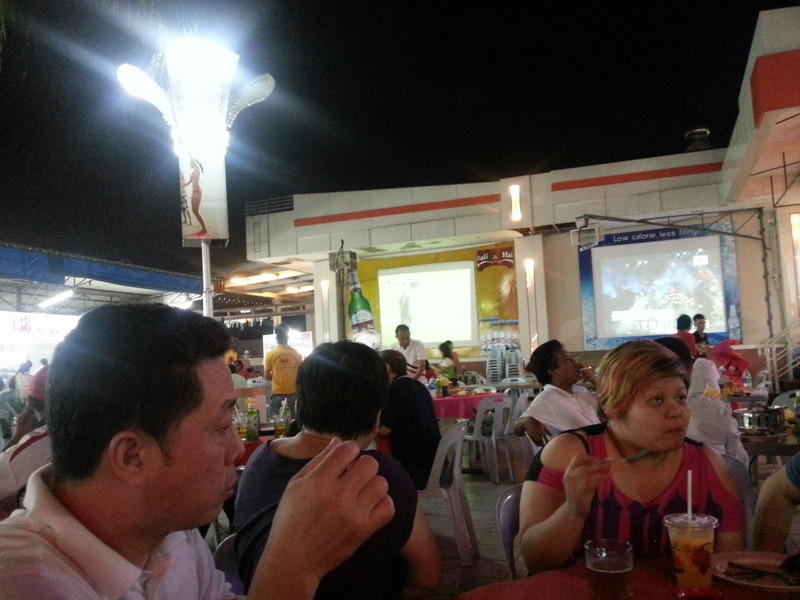 We paid about S$15 each for all the food and drinks (beers and juice) we consumed. We’d been there the first 2 times of our trips but the second time we found that the standard of the food had dropped. 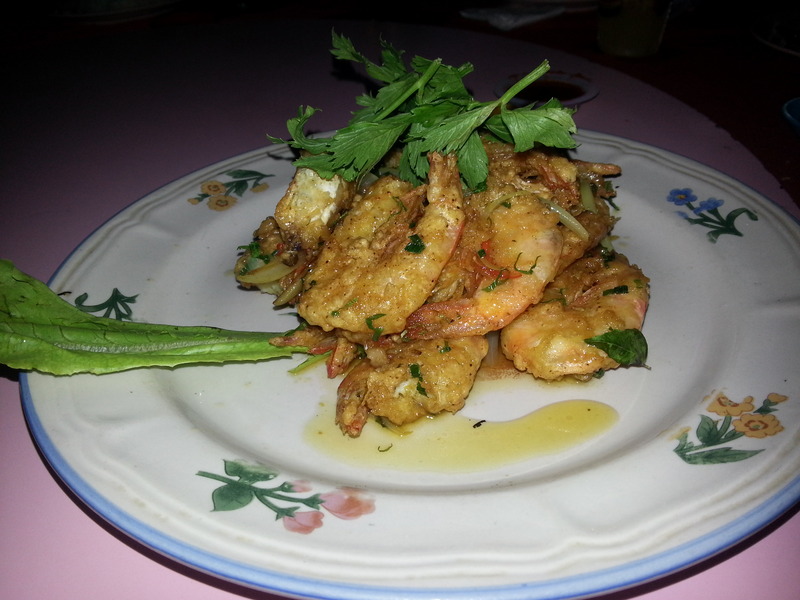 So on our third visit (where we stayed at Harris Waterfront Resort – blog posts coming up soon), we went to Harbour Bay and ate at Wey Wey Seafood Restaurant. 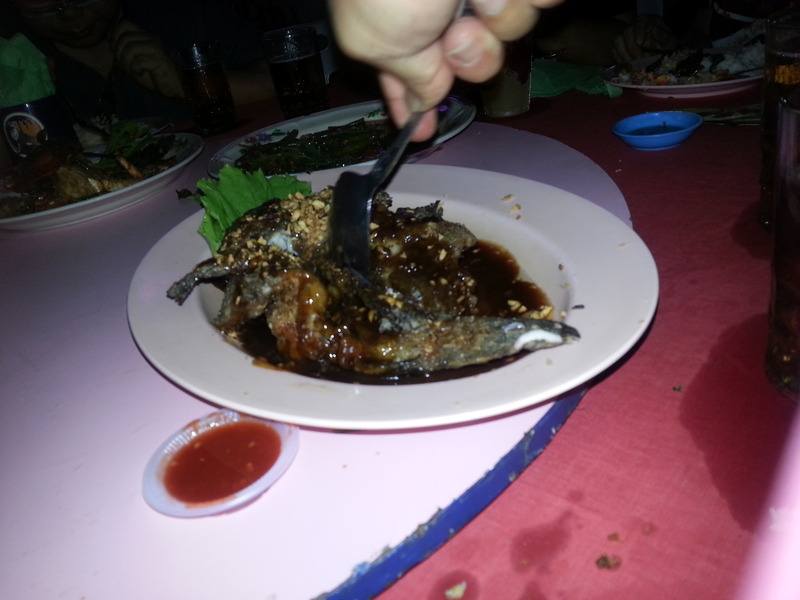 The seafood is really fresh and it cost us around $15+ for 7-8 dishes. My most recent trip (just last weekend) we had 7 dishes including a sea bass and crabs, and 3 bottles of Heineken beer, and it only cost us $17 each. As for how safe it will be for only 2 girls, just don’t go out too late at night. If you are planning to go to Windsor or Harbour Bay to have seafood dinner, ask the hotel to book you a taxi and arrange for a return trip back to the hotel. Also, be extra careful when crossing the roads there. Zebra crossing doesn’t mean a thing to the drivers so you need to slowly inch your way onto the road even on a pedestrian crossing, put up your hand and when the car slow down, run for your life! Yep, that’s what we did while crossing the main road which had no pedestrian crossing and even at the zebra crossing at the Nagoya mall. Will be putting up my experience of both the Harris Waterfront Resort stay and I Hotel stay soon. One will be with ESKA massage and the other, Spa Secret. Stay tuned…although I’m rather busy these days but I’ll try to update my blog.